Friday was slipping by so quickly that I felt as though I were in a whirlwind vortex of time, fast-forwarding to a nebulous future. 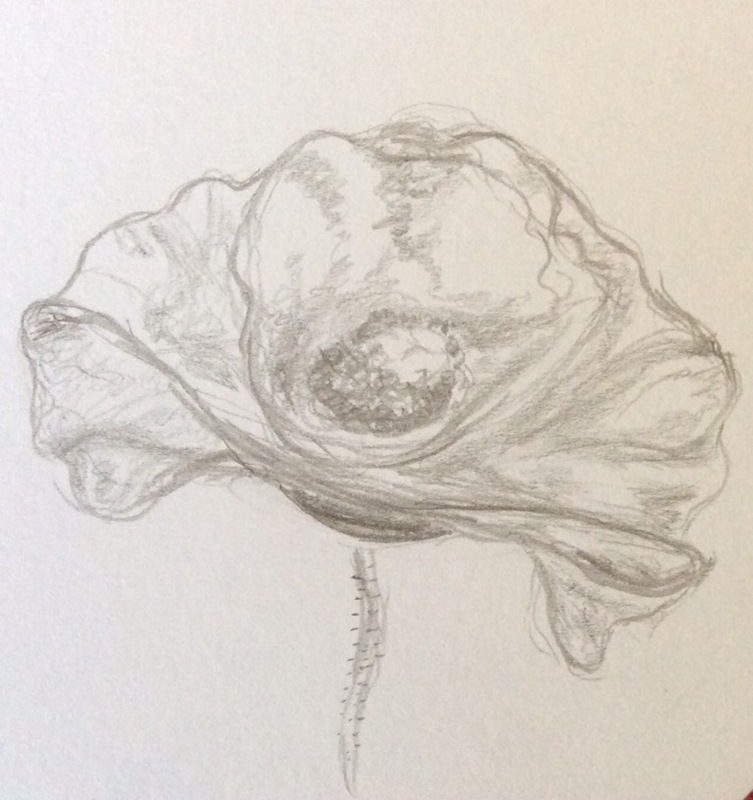 And so, to slow the progression to a pace I could comprehend, I picked up a pencil and artist tile, flicked through some photos, and settled on an image of a simple, lone poppy. As I drew, I thought about using it as a basis for a Zentangle, but became too involved with shading and fluting of petals… In short, I realized that the simple flower was best left as it is, representing the complexity of my life within its simple organization. Just goes to show: even simple sketching can be meditative. This entry was posted in Art, Writing process and tagged meditation, sketch, Zentangle. Bookmark the permalink.